You'll be happy you applied for these huge scholarships once tuition bills arrive! As a college student, you know how expensive paying for school can be. But, scholarship providers are ready to help! It’s a common misconception amongst college students that scholarships are only for high school students but that’s simply not true. In fact, many college scholarships have award amounts that exceed what most students would ever dream of achieving! 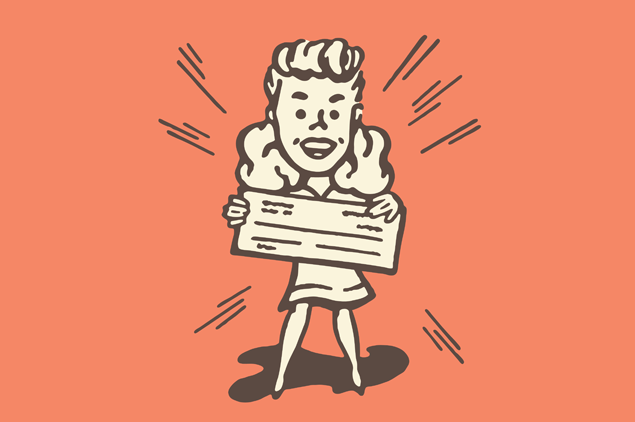 Check out the following list of scholarships for college students with enormous award amounts – you’ll be happy you did once those tuition bills roll around! The DAN/R.W. (Bill) Hamilton Memorial Dive Medicine Research Grant is open to students who are conducting new or continuing research in the following areas: development of decompression procedure techniques for commercial, military, technical and/or recreational divers; development of new decompression models; probability of risk/probabilistic modeling; multi-gas dive simulation; dive computer procedure/protocol and testing; and/or treatment of incomplete decompression and resulting incidents. You must have documented expertise and experience in those fields in order to be considered for this award. Get more information on the DAN/R.W. (Bill) Hamilton Memorial Dive Medicine Research Grant. The Vegetarian Resource Group Scholarship is available to graduating high school seniors. You must have been active in promoting vegetarianism in your school and / or community; and have demonstrated compassion, courage, and a strong commitment to promoting a peaceful world through a vegetarian diet / lifestyle to be considered for this award. Get more information on the Vegetarian Resource Group Scholarship. Opinion Outpost has a $40,000 year-long cash give away! Every quarter a winner will receive $10,000! Each time you take a survey you receive an entry into that quarterly prize draw. The more you participate, the more likely you are to win! In addition to the quarterly prize draw, earning cash and rewards for taking surveys is one of the biggest perks of joining Opinion Outpost. You can redeem your points for Amazon.com Gift Card* Claim Codes, iTunes* Gift Cards, or if you believe cash is king, for money using our PayPal redemption method. It’s safe, secure, and a popular option for many Opinion Outpost members! Get more information on the Opinion Outpost $10,000 Quarterly Prize Drawing. The ACS-Hach Land Grant Undergraduate Scholarship is available to full - time students majoring in chemistry. You must express the intent to teach high school chemistry after graduation and have a minimum 3.0 GPA to eligible for this award. Get more information on the ACS-Hach Land Grant Undergraduate Scholarship. The Paul Garrett and Claire Sherwood Memorial Scholarship is open to students at Whitman College who demonstrate merit and need. Recipients will travel to New York during their senior year for a career enrichment experience. Get more information on the Paul Garrett and Claire Sherwood Memorial Scholarship. Sponsored by the National Society of Collegiate Scholars, the George Washington University and NSCS Transfer Scholarship is available to active members of the National Society of Collegiate Scholars. You must be planning to transfers from an NSCS community college to GWU to be eligible for this award. Get more information on the George Washington University and NSCS Transfer Scholarship. The Walter N. Ridley Scholarship is available to African-American students at the University of Virginia. Get more information on the Walter N. Ridley Scholarship. The D.J. Lovell Scholarship is open to full-time undergraduate and graduate students who are studying optical science and engineering. Fields of study may include optics, photonics, imaging, optoelectronics and other related disciplines. You must also be a student member of SPIE (International Society for Optical Engineering) to be eligible for this award. Learn more information about the D.J. Lovell Scholarship. Provided by the Washington Student Advancement Council, the State Need Grant is available to Washington State's lowest income undergraduate students. To be eligible for this award, you must be a resident of Washington, have a family income of equal to or less than 70 percent of the state median, and enroll as an undergraduate student in an eligible program for a certificate, first associate's, or bachelor's degree, at a minimum of three credits, in Washington. Students who are pursuing theology degrees are not eligible for this award. Get more information on the State Need Grant – Washington State. The State Need Grant is available to low income undergraduate students in Washington State. You must reside and attend school in Washington, and have a family income of equal to or less than 70 percent of the state median to be eligible for this award. Students who are pursuing theology degrees are not eligible. Get more information on the State Need Grant. Award Amount: 18 Awards of $10,000 The Astronaut Scholarship in Science and Technology is open to students majoring in engineering, natural science, applied science, or mathematics. You must attend one of the participating educational institutions to be considered for this award. U.S. citizenship is also a requirement. You must be nominated by faculty or staff in your department. Learn more information about the Astronaut Scholarship in Science and Technology. The Chicagoland Regional College Program is open to students who are at least 17 years of age and attending, or planning to attend: Chicago State University, Governors State University, Moraine Valley Community College, Morton College, Olive Harvey College, Prairie State College, or Richard J. Daley College. To be considered, you must be willing to work part - time as a package handler at the UPS Hodgkins, IL. facility. The hours are Monday through Friday from 4:00 A.M. to 9:00 A.M. or 10:00 P.M. to 3:00 A.M. In addition to a $6200 annual UPS salary, program participants will also receive a $2000 allowance for school fees, $300 for books, and $100 per month for transportation. Veterans will also receive a $300 - $500 monthly bonus. Get more information on the Chicagoland Regional College Program. The Goldman Sachs Scholarship for Excellence is available to Black, Latino, and Native American undergraduate students who are interested in the financial services industry. You must have a minimum 3.4 GPA, demonstrate team - oriented leadership, and be involved in service to your campus and / or community to be eligible for this award. Get more information on the Goldman Sachs Scholarship for Excellence. Award Amount: $1,000 The NSCS Merit Award is available to new members of the National Society of Collegiate Scholars. Get more information on the NSCS Merit Award. The Astronaut Scholarship in Science and Technology is open to students majoring in engineering, natural science, applied science, or mathematics. You must attend one of the participating educational institutions to be considered for this award. U.S. citizenship is also a requirement. You must be nominated by faculty or staff in your department. Get more information on the Astronaut Scholarship in Science and Technology. The Spirit of Anne Frank Scholarship is available to high school seniors who are leaders in their communities and have been accepted to a four - year college. The award recognizes students who exemplify the commitment, ideals, and courage that Anne Frank represents today. Get more information on the The Spirit of Anne Frank Scholarship. The ASIST Scholarship is available to non - traditional students who are entering college for the first time, or students who are re-training. You must demonstrate financial need, be at least 18 years old, and reside within the boundaries of an Executive Women International chapter to be eligible for this award. You must also be socially, physically, and / or economically challenged and have clearly defined career goals and objectives. Get more information on the ASIST Scholarship.